Professional Dual Wireless Microphone System. 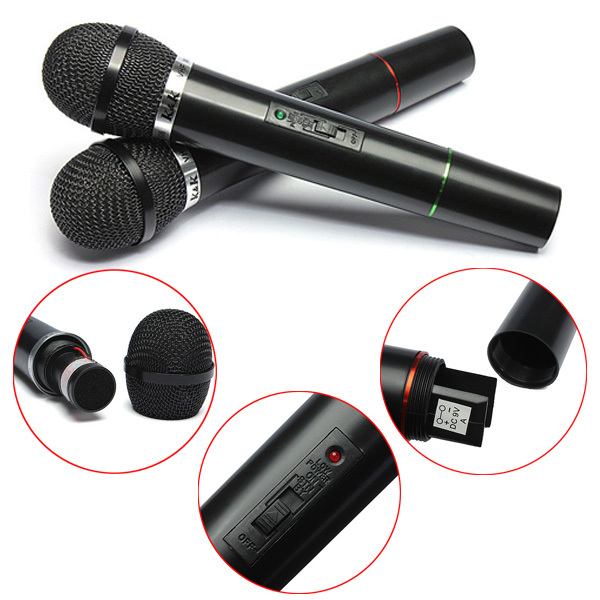 This dual microphone system suitable for professional singers on stage in small bars and pubs, mobile disco and karaoke, and home use, then this is the option for you. Easy to use and affordable alternative that is ideal for meetings, events,speeches, etc.